We've all seen on TV the amazing sight of air ambulances rescuing climbers from mountains or other remote and inaccessible places. Crews risking their lives to help patients in desperate need. But it's not only far-flung areas that need this life-saving service. London’s Air Ambulance is the charity that delivers an advanced trauma team to critically injured people in the capital. 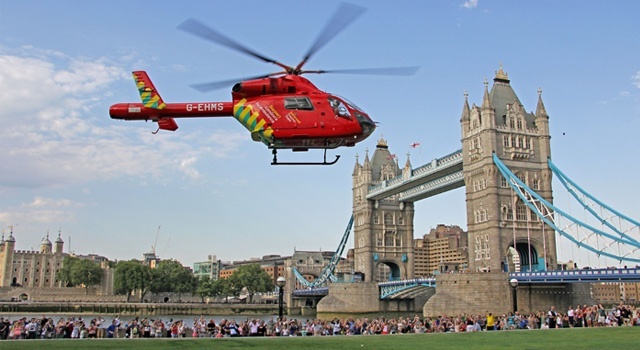 Following the launch of the ‘Your London, Your Helicopter’ fundraising campaign seven months ago, just over £4 million of the £6 million target has been raised. And that has enabled the charity to acquire a second emergency medical helicopter. 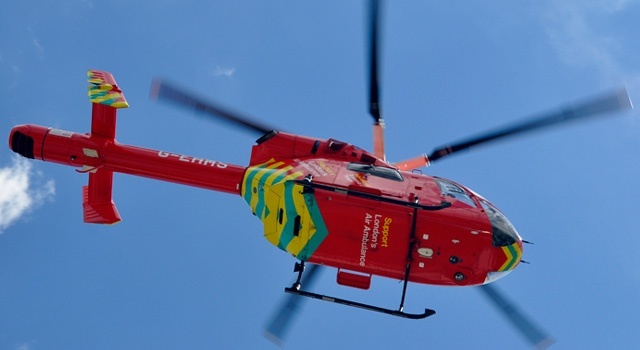 Thanks to generous contributions from the people and organisations of London, the MD902 Explorer, which is now registered as G-LNDN, is expected to be operational and helping to save more lives early next year. As well as acquiring the aircraft, this support will cover the costs of converting it to meet UK regulations. But more money is still needed to cover running costs and extend summer daylight flying hours for five years. The second helicopter with extended daylight flying hours in the summer months should mean that 400 more patients can be reached and treated every year. This year, the charity flew longer hours in the summer months for the first time in its history and was able to reach, and treat, a further 67 patients by air. London's Air Ambulance can deliver the hospital to a patient's side, wherever they are, up to eight times faster than by road. But when the single emergency medical helicopter is grounded for maintenance or repairs, the service is simply not available. In 2014 it was offline for maintenance for the equivalent of 55 days. It has been offline for over the equivalent of 60 days this year. Patients need to have access to this vital service at all times, so a second aircraft is certainly not a luxury! It could mean the difference between life and death. A final word: if you are ever unfortunate enough to find yourself in difficulties in a remote area, Air Charter Service can assist in arranging immediate aid through nearby rescue teams. A useful contact to keep handy!